I am a Licensed Mental Health Counselor in the state of Florida. I have a Master's Degee in Experimental Psychology from New Mexico State University. I have over 40 years of experience in diverse clinical settings. I began my career in the late-1967 with an internship in Clinical Psychology with the Illinois Dept. of Mental Health in Rockford. During my 18-month internship I worked in all of the Zone Center's programs: rehabilitation of the chronically mentally ill, crisis intervention, substance abuse and children's services. Eventually, I joined the Family Management Unit and became the team leader of a treatment team delivering services to children and families in a 2-county area. In 1972, I relocated to Florida. I worked in community mental health centers, in a hospital-based substance abuse program, in a pain management clinic and in several partial hosptialization programs for the chronically mentally ill. Currently, I am in private practice with offices in Orange City and Winter Park. Since 2005, I have melded writing on various topics together with my counseling sevices. I am an active blogger. My blog can be found on Wordpress at: diospsytrek.wordpress.com. I have also done some public speaking. In 2004, I was a presentor at the AACC's regional summit in Atlanta. I presented a model for a church based class/support group on coping with depression. On several occasions I have spoken to the Cental Florida Mental Health Counselors Assn. and to Northland Singles. In 2008, I was interviewed by Jerry Rose as a guest on the TV show TLN Now in Chicago. The topic was how clinical depresssion affects Christians. The guest being interviewed while I waited in the green room was Jerry B. Jenkins, co-author of the "Left Behind" series. I gave him a copy of my book to pass on to Rev. LaHaye. Reading a book by Rev. LaHaye in 1979 was the instrument of my salvation. Following me was Kerry Shook, also a best selling author. It was an interesting experience but rather intimidating--my 600 or so book sales sandwiched between authors of millions. The show aired nationally on Sky Angel. In August of '08 I was a guest on The Good Life at Channel 45 WTGL in Orlando. Once again the topic was coping with depression. The co-hosts Ken Mikesell and Barbara Beck posed some challenging questions about not only depression but also about ADHD and the uses of psychoactive medication. In my practice I specialize in the treatment of clinical depression, bipolar illness, anxiety disorders, addictions, ADHD and in relationship problems. My treatment approach is multi-faceted, but rooted in biblical values. In addition to my Wordpress blog, I have several video blogs on YouTube: Type diospsytrek in the search bar. I discuss mood disorders & my books. I also address the topic of spiritual warfare, plus I give some other commentaries which I hope are uplifting & reflect my unique perspective. I am a native of Port Clinton, Ohio. During high school my mother moved to Las Cruces, New Mexico. I lived there for eight years and received both a B.A. and an M.A. in Psychology from New Mexico State University. I was raised in the Lutheran Church, but I attended a Catholic boarding school in the fifth grade and was greatly impacted by that experience. I did not cope well with adolescence and I became an avowed agnostic at the age of 13, but like many "agnostics" I continued to search. I dabbled in philosophy, metaphysics, oriental religions and New Age beliefs. Then one sweltering evening in September, 1979, I encountered Jesus. Mildly skeptical and with few expectations, I read the sinner's prayer and invited Him to into my life. The answer was electrifying and undeniable even to a hardened, scientifically trained skeptic. The words formed in my thoughts: "Carl, where have you been all these years? I've been waiting for you." Hearing that Voice was quite unlike any thought I'd ever experienced before, and I knew in that instant that God existed and that He loved me--and I knew that my life had changed forever. Though, in a sense, everything became new that evening in 1979, growth toward Christian maturity was slow in coming. It was hampered by not participating in regular worship or having consistent fellowship with others in Christ's Body. That process greatly accelerated in 1993, when I began attending Northland Community Church of Orlando. In 1998, I began teaching a class at Northland focused on helping others cope with clinical depression and bipolar disorder. These mood disorders are of special interest as I am the child of two seriously bipolar parents, and I have coped with chronic depression myself since adolescence. In addition to this class/support group, I have been a co-facilitator in a divorce recovery group and have participated in the singles ministry, mission trips and a street ministry for the homeless. 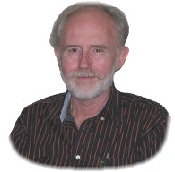 In the spring of 2010, I became active in Celebrate Recovery (CR), a Christian 12-step program. The past two summers I have lived for periods of time in Sunnybrae a Teen Challenge drug rehab in rural NE Scotland. As part of a team I helped teach CR principles to the residents, staff and pastors of several area churches.